Here in your pockets, in your kitchen, in your cellar and on your table, Claude Dozorme knives will be whenever you want satisfying all your demands. 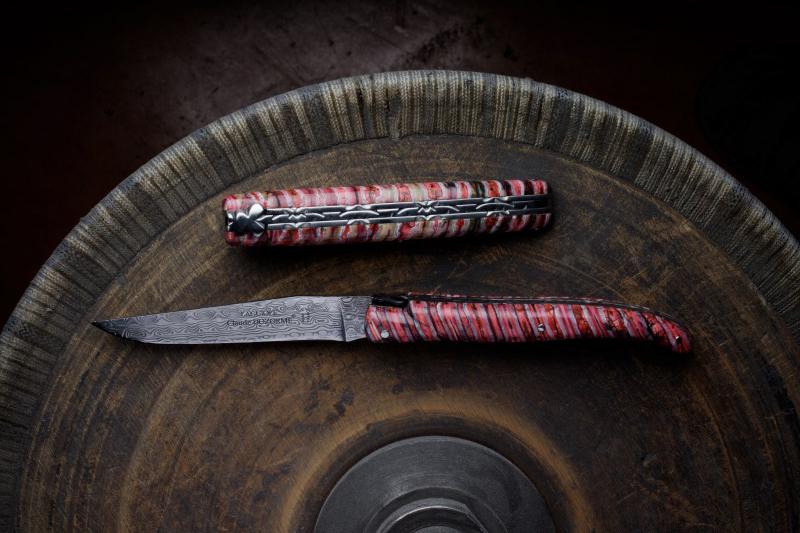 Everyday objects, inseparable companions of collectors, hikers, nature lovers, gourmets or aesthetes, Claude Dozorme pocket knives are produced from start to finish at the Thiers workshop. Claude Dozorme pocket knives made for men or women, with a classic or modern design, in a variety of shapes, dressed with unusual materials, decorated with crystals or inlays, are also set apart by their innovative and ground breaking opening and closing designs. It is this skill in particular that is the specific feature of the Dozorme company. Thiers®, Laguiole, Capucin, Basque, Corse… a range of mythical French shapes reinterpreted and reissued by the Dozorme cutlery manufacturer to enhance and promote various regional cutlery designs. Thiers®: Created out of the concerted thoughts of a whole profession, the Thiers® takes its name from its town, the French Capital of the Cutlery Industry. 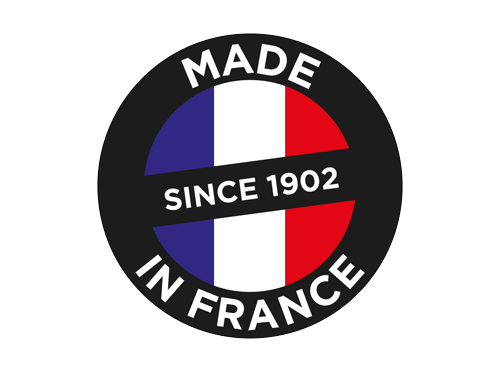 To guarantee the authenticity and territoriality of this imposed shape belonging to the « Confrérie du Couté de Tié », all spare parts and manufacturing steps involved in the production of Le Thiers® knives have to be fully produced within the Thiers cutlery manufacturing basin according to a stringent set of quality regulations. Dozorme makes all these knives at its own workshop. Laguiole: Contrary to popular thinking, the Laguiole is not a registered trademark for knife but a type of pocket knife named after the eponymous village in the Aveyron. Famous for its curved shape and decorated with a mythical bee design, Claude Dozorme was the first cutlery manufacturer to create a non-folding version of the Laguiole for tableware. Capucin: This knife takes its name from the distinctive shape of its handle that resembles a monk’s hood. A knife symbolising the Esprit de Thiers label, the Dozorme company has showcased both the pocket and tables versions. At Claude Dozorme, nothing is left to chance ! Just as the knife blade has to be absolutely flawless, the handle is a part in its own right, carefully designed to give the object its exceptional quality and added value. 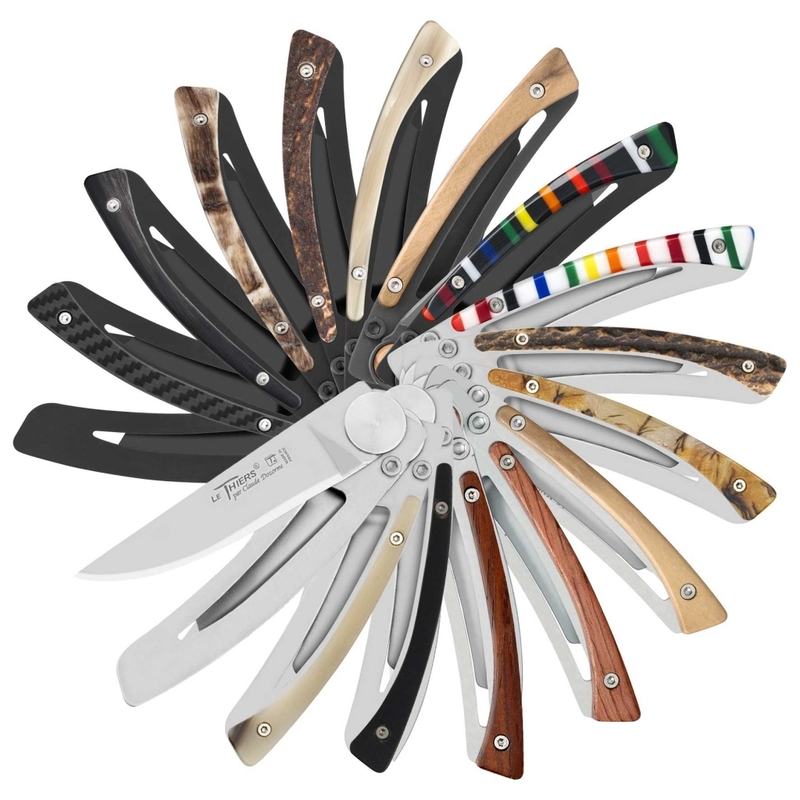 Whether dressed with natural materials (wood, horn, mother of pearl, shagreen, ivory or fossilised mammoth teeth), natural leather or with inlays (Swarowski® crystals, real feathers or fishing flies) the handles of Dozorme pocket knives are exquisitely dressed to delight pocket knife collectors everywhere and enthral enthusiasts of unique objects that are truly one of a kind. The opening and closing mechanisms of Claude Dozorme pocket knives that ensure simple, safe handling, designed and developed by the company, are without a doubt the embodiment of this « modernised tradition ». This expertise and perfectionism in knife mechanisms are instrumental to the Dozorme company’s renown and sought after by many collectors and enthusiasts the world over. Ball bearings: to ensure that the blade does not come loose over time, Claude Dozorme knives are made using a genuine ball bearing system that replaces the original nail locking system. Lock: an original and ingenious system that provides fast blade locking due to a locking/ unlocking latch on the back of the handle. Liner Lock: very popular in the USA, the liner lock has a spring that blocks the blade. 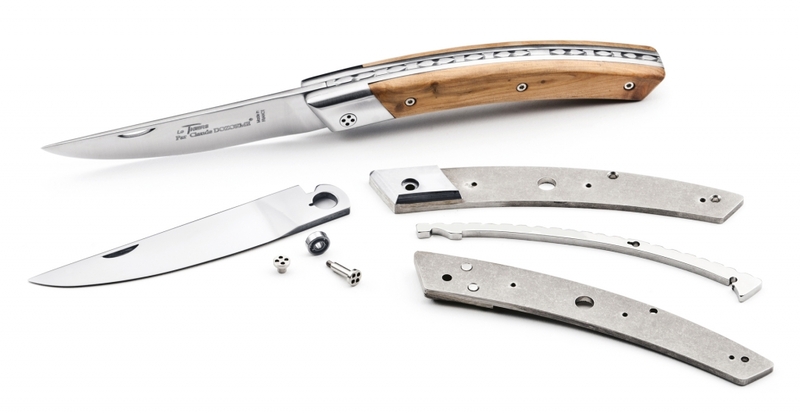 The family company has adopted this mechanism for its Thiers® and Laguiole shapes. Securiflex spring with lock-back system: created by a professor of mechanical engineering in Thiers, this mechanism gives the knife unrivalled precision. Piemontais: simple, non-locking system. The knife is opened using a small raised area on the heel of the blade that comes to lie against the back of the handle. Hidden system: a ball hidden in the bolster locks or unlocks the blade depending on its angle. The flagship products of the family business, this extensive range of flat liner locks is an unquestionable favourite with lovers of sleek design and simple, pure shapes. Created by Claude Dozorme, whether for Laguiole or Thiers® knives, Dozorme liners can be dressed up or down, decorated with new features, and can change with the times to fit current trends or the taste of individual buyers. The ultimate made-to-order knife ! A different liner for each style ! Ultra flat and ultra light, Liners can be easily slipped into a bag or wallet, or hooked into a shirt pocket. 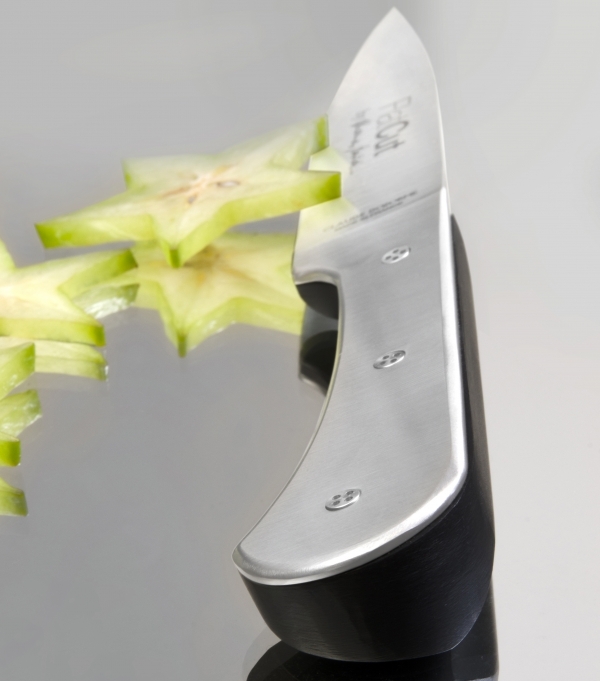 Ideal for town and country, these very high-tech knives have a safe and simple Locking mechanism. A great favourite with knife enthusiasts, Dozorme Liners are dressed with exquisite materials or prized natural essences: light or dark horn tip, ram’s horn, genuine deer antlers, vallernia wood from Brazil or olive wood from the south of France… Lady’s versions are decorated with genuine Swarowski crystals or Bayadere stripes, making these knives real adornments. They can also be dressed with the colours of a given brand, product or event, as illustrated by the liner developed to resemble the Puys mountain chain to support its application to be listed as a world heritage site by UNESCO. These latest range additions have black blades. So chic and masculine ! Lastly, the company even has an XXL version, the perfect accompaniment to lazy summer barbecues. Dozorme liners, the discreet knife that is there when you need it ! French lifestyle as a whole has been rewarded by the French gastronomic meal joining the list of intangible cultural heritage of humanity. A lifestyle amply illustrated in the Dozorme company’s range of tableware designs. The cutlery manufacturer is thus actively safeguarding and perpetuating these strong French culinary traditions. A monument of French gastronomic heritage, foie gras is the guest of honour atevery festive table. Thanks to the range of products designed and developed by the Dozorme cutlery company, this exquisite, festive dish will be presented and served to a standard fitting the very best restaurants. As symbolic of France as cheese and wine, bread is served at all French meals as testified by the fact that nine out of ten French people eat bread on a regular basis ! The sacred food of day-to-day life, to be enjoyed at its best, bread has to be properly sliced and presented. This is why the Dozorme company proposes a whole range of breadrelated products to ensure impeccable presentation and perfect slicing. When talking about France, cheese is one the first things that comes to mind. Boasting around a thousand different varieties and an annual consumption of 24 kg per person, France is unquestionably the country of cheese. Not forgetting the Auvergne, the cradle of the Dozorme cutlery company, which is up there with the frontrunners as it produces one quarter of AOP (protected designation of origin) cheeses in France. Therefore, it was only natural for the family business to develop a range of products for this jewel of French gastronomy. A delicate regional product, whether it is soft paste, cooked paste or blue-veined, all cheeses require specific cutting and appropriate serving techniques. The Dozorme company therefore proposes a wide range of slicing and serving utensils that ensure flawless cheese platter presentation. 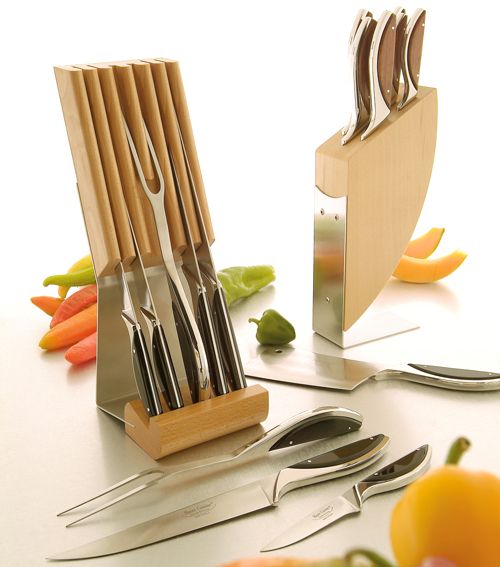 Together with the CNIEL, the company has even developed cheese knives for use in restaurant dining rooms, designing a 12-knife case that ensures that each cheese can be sliced using the appropriate knife ! What would France be without its wines and its champagne, a sparkling symbol of elegance and sophistication ? To contribute to this national standing, the Dozorme cutlery company has designed and developed a whole collection of champagne sabers and corkscrews. Champagne is a drink for every occasion ! Loved the world over for its light, sparkling bubbles, its elegance and its unique taste, it is the standard bearer for the image and attractiveness of France. 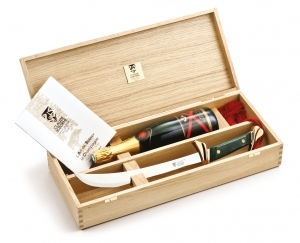 The opening and serving of champagne is imbued with a certain ritual. The most emblematic of these is still the sabering of the neck of the bottle, a ritual much loved by Napoleon. During the time of the Empire, the fashion was to celebrate a victory by slicing off the neck of the bottle with a saber. To perpetuate this centuries-old tradition, the Claude Dozorme company is reissuing magnificent collections of champagne sabers. One is of very high value with its fine gilded hilt while the other has a sleeker, more contemporary design with a silvered hilt. The dragon trimmings hark back to the days when the riders of the Napoleonic cavalry wore their arms at the wrist. 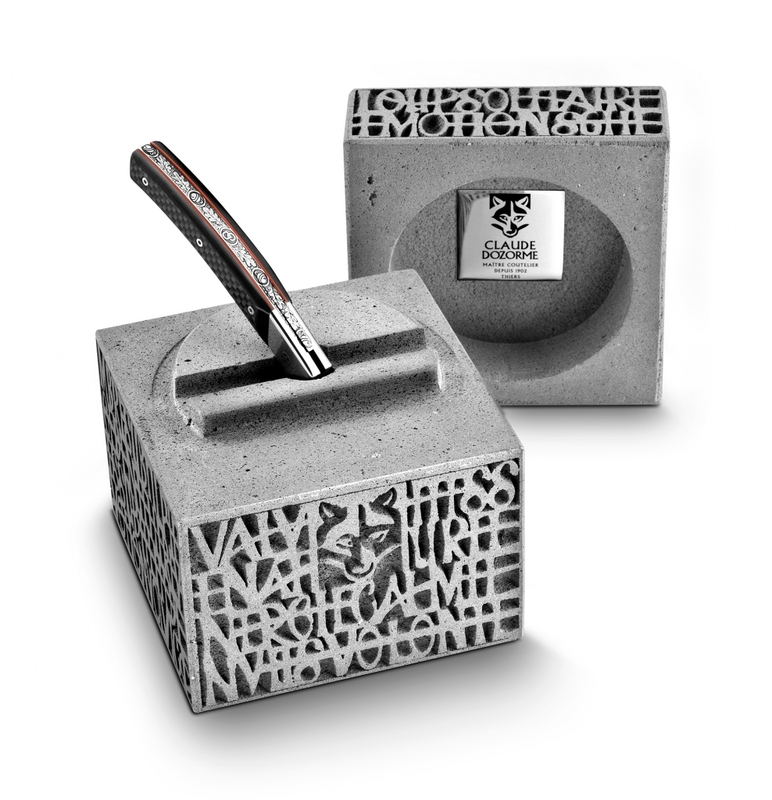 This is an original and prestigious gift that will provide an elegant accompaniment to all grand events. 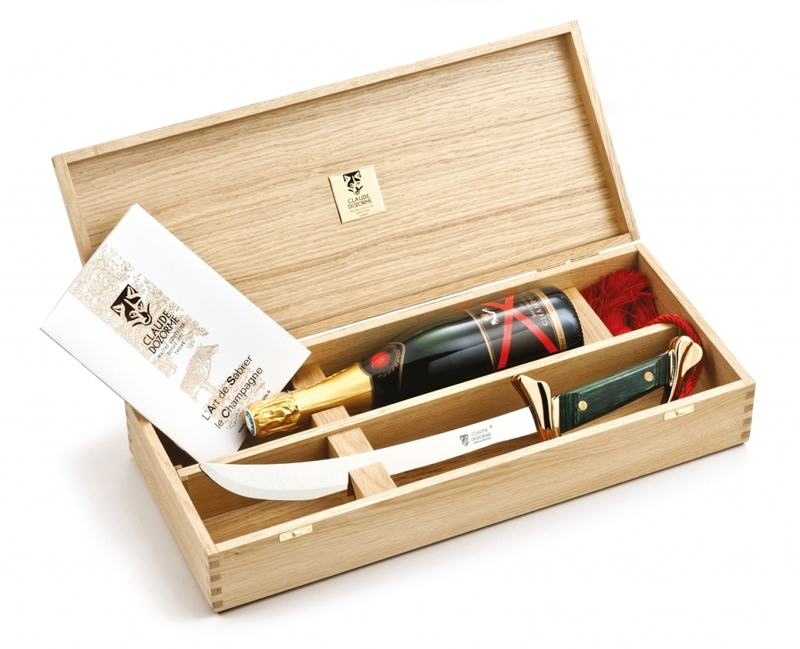 At once a solemn and convivial act, the opening of a bottle of wine requires great care and attention, especially where a Grand Cru or an exceptional vintage is concerned. The Dozorme cutlery company offers very high-precision corkscrews that have an excellent grip guaranteeing perfect bottle opening without damaging or breaking the corks. 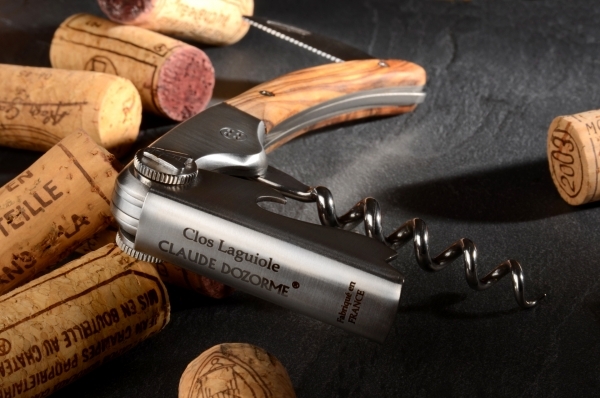 A favourite with wine connoisseurs, Dozorme corkscrews are made in close collaboration with professional sommeliers. Because each nectar deserves the best ! The fruit of an in-depth design study lasting several months, Dozorme’s Haute Cuisine knives symbolise the perfect marriage between form and function. 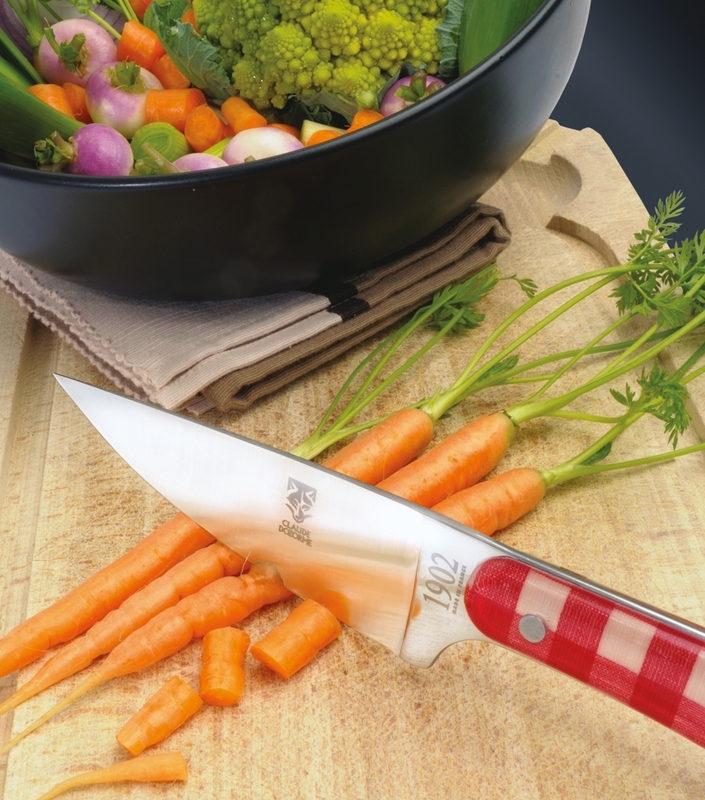 With their pure, sleek line, high-quality steel and professional cutting power, Haute Cuisine knives offer very highprecision cutting ability combined with unrivalled strength and durability. Mince, slice, remove veins, gut, cut or chop, the complementary nature of the range provides an endless variety of use. 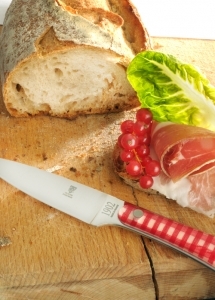 An allusion to the French bistronomy sector, the 1902 kitchen knife range was created by the Breton designer Jacky le Faucheur with an audacious red and white Vichy fabric. A perfect balance between design and authenticity, the « 1902 Vichy » collection offers professional chefs and experienced enthusiasts unrivalled grip and cutting power. 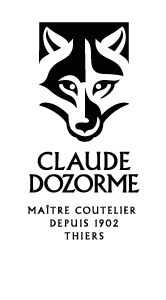 Yet again, the Claude Dozorme company has demonstrated the breadth of its creative finesse and expertise, 100 % made in France !